Digital Marketing is not for the faint of heart ….or mind for that matter. It is a multivariate environment promoted by a wide range of savvy marketing providers all vying for your attention and business. It looks big and crazy and is innovating at varied and increasing rates. There is an infographic about this topic that you might have seen posted on LinkedIn. I counted the number of categories and options within each category, engaged high powered statistical help, and estimated that the total number of combinations and permutations of that snapshot alone was 2.65296 E+29. No wonder Marketing professionals feel spread thin to stay on top of things. There are so many options and they are ever changing. What seems to make the process more difficult to navigate through is the plethora of content with engaging hooks and conflicting findings that one is bombarded with while doing research. Some of the content is so well written you might waste a significant amount of time reading it until you are able to see that the content contained little to no usable actionable detail at all. Then, be prepared for the inevitable follow up emails associated with the cookies that you were assigned while surfing the sites. When I first began doing research, I had to be off the grid for a few days. When I returned, I found 800+ emails. Needless to say, what and where research is conducted has been severely targeted since. Define the forest. Tangibly document your overriding Marketing and Branding strategy. There are a great number of checklists, templates and guides that can be used to help you document. Become a Marketing Introvert. Look for the core most issues and rank order your build out from that. Identify impact and resources. Benchmark against competitors. Start with the tools that available and free to understand the lay of the land. Begin with the end in sight. Test your Marketing innovation and intuition. Establish actionable targets which may be anything from testing and learning to revenue generating results. Better to begin and track than to wait for an ultimate perfect execution. Here is where your Marketing innovation will become pronounced. Consider your options. Look at the tradeoffs between cost and return for core issues versus the “quick hits” and build a tangible plan. Identify how and how often you will track your work. Track, measure and trend. Keep your eyes on measurable activities and results. Use templates, worksheets, channel analytics and marketing automation tools to keep track of the details as they roll up into trends. 8. Repeat 1 – 7. You are not alone and the challenges are not insurmountable. As for the not being alone, here are two recent articles that provide the lay of the land for the Marketing environment. :Challenging Times On The Marketing Front and CMOs Unprepared For Marketing Changes. As for the challenges not being insurmountable, please feel free to contact Marsden & Associates for assistance, as well as subscribe to our blog to stay abreast of actionable solutions to your current Marketing challenges. 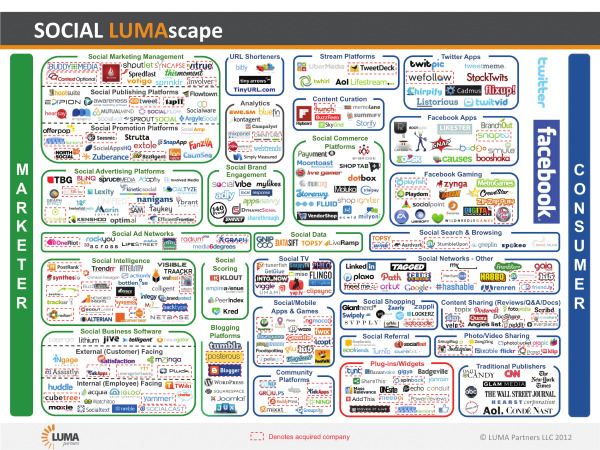 Many thanks to Terence Kawaja from http://www.lumapartners.com/ for the use of the infographic.